Enter Alpha H Liquid Gold. 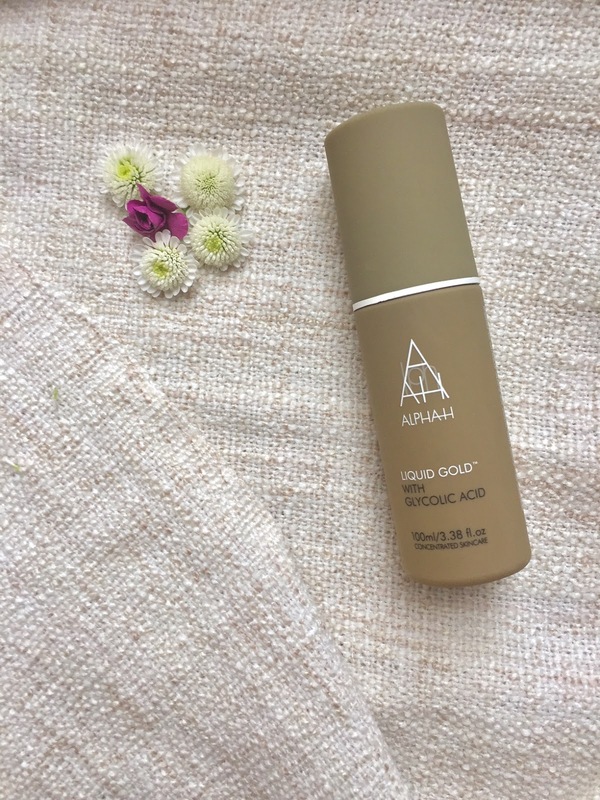 Back in the early days of her blog, skincare guru Caroline Hirons, wrote about Alpha H Liquid Gold and how it helped her Rosacea. Actually, it’s so far back in the blog that I had to do effectively stalk the woman to find it and see if it could help me too. You’ll know from my previous post that I’ve had Rosacea for several years. It always fluctuates; it gets better, worse, spottier, redder and changes like the wind! I was clueless about what to do with it or how to treat it. If you’re thinking “Speak to a GP” think again. Its not that easy. Here’s what I’m dealing with when things go wrong. I had always avoided using products that sounded like they had lots of chemicals in, or that might sting or have an astringent type effect. I tried to stick to natural sounding products (although knowing it is very difficult to avoid chemicals in skincare!) As well as Rosacea, I have always had sensitive skin, so I probably would have avoided these products even if my skin hadn’t changed. How wrong I was. A little bit about the product. 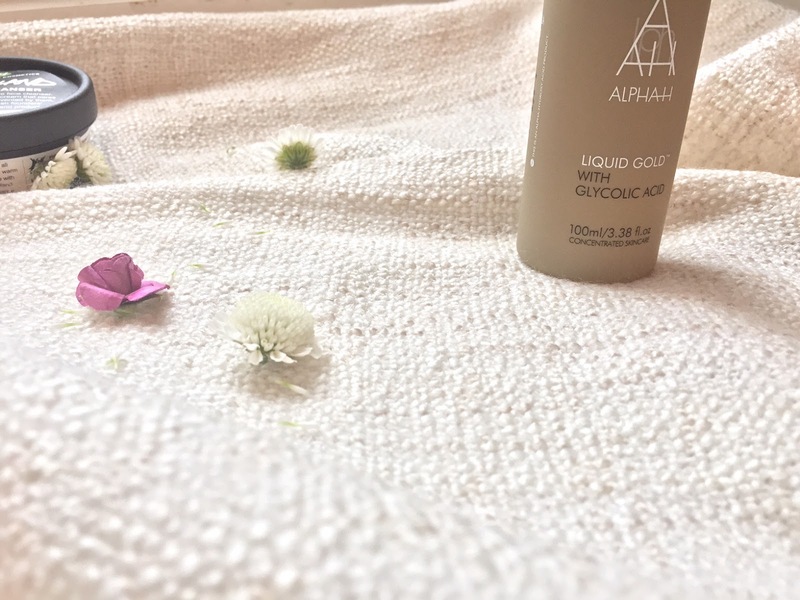 Alpha H Liquid Hold contains glycolic acid. Sounds scary… isn’t. The ‘acid’ is cell-stimulating and exfoliating, without the need for horrible, angry little beads of plastic all over your face (not to mention destroying the oceans etc etc). Its in the toner category, meaning that you use it after you have thoroughly cleansed your skin at night and before you use a serum or moisturiser. Even better is that the glycolic acid in Liquid Gold means that your skin absolutely slurps up whatever you put on afterwards. If you suffer with Rosacea, exfoliating in some form is an absolute must. There’s a tendency for excess skin cell build up, leading to dryness, red patches, blemishes and spots. I cant tolerate scrubs or harsh exfoliates, because they just make my whole face go red and dry. So historically, I’ve been left with a choice of trying to carefully exfoliate before bed and hoping I’m not too red in the morning, or dealing with patchy skin. Ew. Regardless of your skin type, I suggest you take some time to build up a tolerance to Alpha H Liquid Gold and, the first time you use it, it might sting a bit. For really sensitive skin, just put a few drops on to a cotton pad and gently sweep across your face after cleansing. Give it a couple of seconds to do its thing and then moisturise. When my skin is really bad, I use it every night, for a few nights in a row – to give it a boost. You can use Alpha H every night, but I do recommend you build up slowly depending on what kind of skin you have. Products like these aren’t for everyone. If you’re a rosacea sufferer or have senstive skin, I suggest a small patch test over the course of a couple of days to check for a reaction. I’ve tried other products before without patch testing, with some pretty horrible results. Ok, so Alpha H Liquid Gold doesn’t cure Rosacea. Nothing does. But it honestly has a really good go at making it slightly more bearable. The average price is just over £30.00 a bottle, BUT, every time I’ve bought this product it lasts me at least a few months. Honestly, after trying it and seeing the results, I would not be without this product in the future – Rosacea or otherwise. 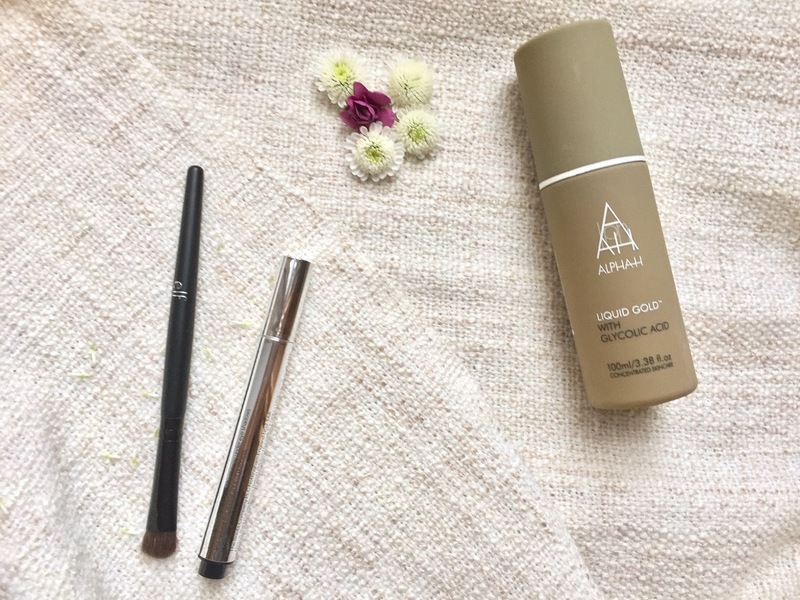 Has anyone else tried Alpha H Liquid Gold for Rosacea? How did you find it? Hi Nicole! great review – my friends LOVES this product but she doens’t have Rosacea/sensitive skin as I do. Now reading your post makes me what to give it a shot. How often do you apply it? Does it produce light sensitivity? Also, have you considered the danish treatment called KLERESCA? My dermatologist recommended it and I am considering it.